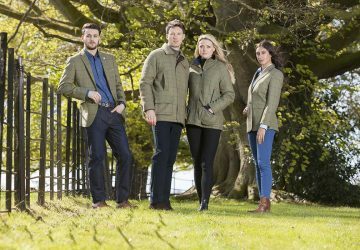 Spending a lot of time outdoors demands clothing and footwear that are up to the job required of them. I remember the reaction of my non-shooting friends when I paid over £100 for my last pair of wellies. It was even funnier when I told them that actually, that was a bargain! Engaging in fly fishing, pigeon decoying, pheasant shooting and deer stalking, I’ve been on the hunt (no pun intended) for a pair of boots that are slightly more versatile than my trusty wellies so when our friends at Raygill Clothing recommended the Meindl Dovre Extreme GTX boots and offered to let me try them out over the winter, it was a no brainer to see how they stacked up. 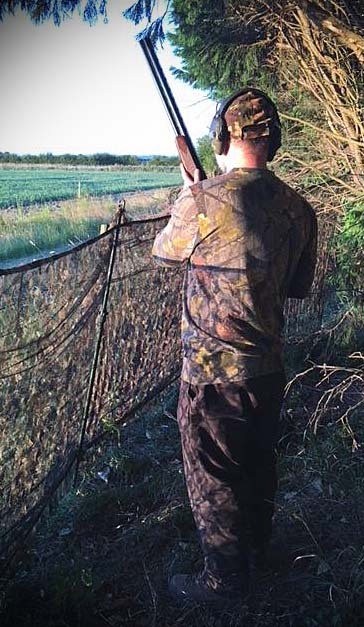 They told me that they were extremely popular with gamekeepers who of course, live in their boots and expect them to perform so I was excited about trying them out. 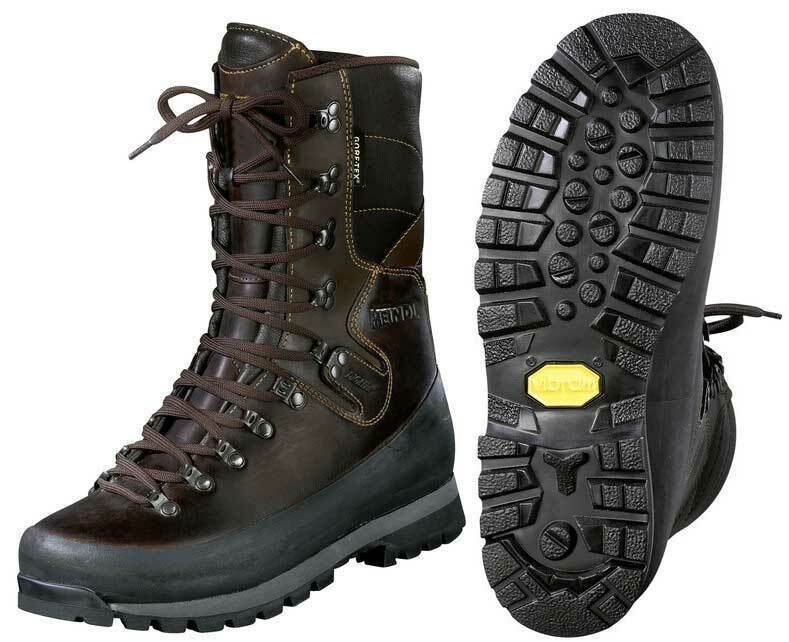 Meindl have a long history of making top quality footwear. The Meindl family’s shoemaking heritage can be traced back to 1683 and today, Meindl’s HQ is still based in Kirchanschöring of the Bavaria region in Southern Germany where it all began. 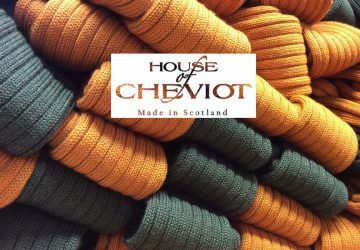 Over the years, the company has won many awards for it’s footwear and even boasts the achievement of having the first boot to travel faster than the speed of sound! When I went to pick up the boots from Raygill, the first thing I noticed were how stiff and heavy they were. When walking, my toes couldn’t bend so it was almost a roll from heel to toe which felt a bit strange. After a week or so of using them though, that eased off and they were actually really comfortable and the weight of them is more reassuring than a hinderance. Not long after I got them, their first real test came. Ferreting guru Simon Whitehead invited me out to go and look for some rabbits with him in North Yorkshire and whilst there, record a podcast interview (which you can listen to here). I didn’t know where we were actually going as he only sent me the address for the B&B he was staying at. Because of this, all of my pre-planning was based on the postcode of the B&B. What I didn’t realise was that the place where we were actually going ferreting was a bit of a drive away and up into the hills. As it turned out, the weather up there turned out to be massively different from what was forecasted at the B&B with sideways rain, strong winds and fog so thick that it was hard to see more than 20 yards in front of us. Simon Whitehead working his ferrets in the horrendous weather we experienced in North Yorkshire. Needless to say, I got drenched and learnt a valuable lesson – prepare for all eventualities! The only part of me that was dry and warm at the end of the day? You guessed it, my feet – the Meindl’s had passed the test and proved that investing in good footwear really is money well spent. The GORE-TEX lining performed superbly that day. The ground was sodden yet my feet remained dry. The Vibram Multigriff sole gave me the grip I needed in what was challenging conditions and the support they gave my ankles were just on another level compared with boots I’ve owned in the past. Since then, I’ve worn them when fly fishing, deer stalking and pigeon decoying. 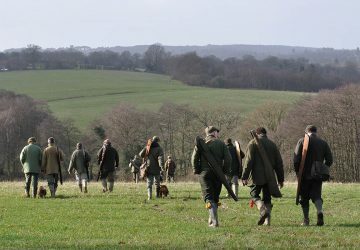 I didn’t buy any days on the pheasants this this year so I haven’t yet paired them with my tweed breeks and shooting socks but I imagine them making a brilliant combination. Because they’re a relatively high boot (probably come to about 1/2 of the way up my shins), puddles or wet fields aren’t a problem. 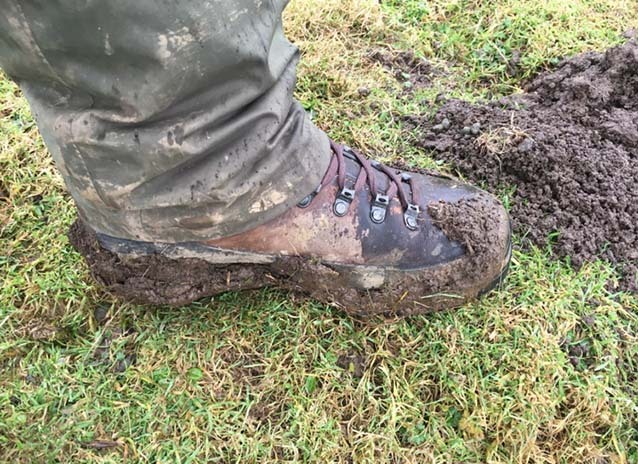 Yes, you may end up with muddy laces, a problem wellies don’t have but for me, that’s a small price to pay considering that the support the boots provide is a lot better than with most pairs of wellies that you can buy. Me in the pigeon hide with wearing the brilliant Meindl Dovre Extreme GTX boots. I have a lot of confidence in these boots and I can see them lasting me a number of years quite comfortably. Although I do spend a lot of time outdoors participating in various fieldsports, I don’t work them as hard as gamekeepers do but for these boots to be very popular with that crowd, Meindl are clearly producing something that built to last and perform. Another day out in the mud with warm and dry feet at the end of it. 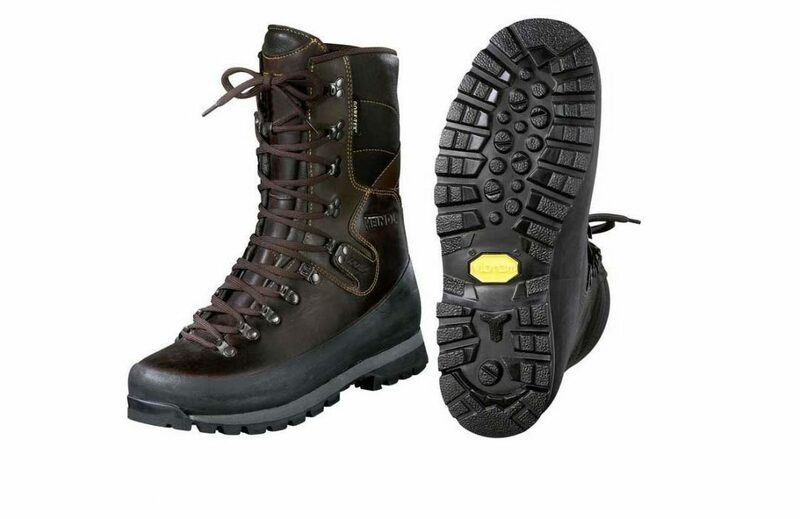 Although I mainly use these for my fieldsports, I can also see them being popular with trekkers and anyone else who requires a hard working boot in rugged terrain. I can highly recommend the knowledge and service of Raygill Clothing who gave me the boots to try out. They told me exactly how to care for them to make them last as long as possible and they carry a good range of stock and sizes. You can buy online here or if you want to speak with them first to ask any questions you might have about the boots, you can either send them a message through their Facebook page or give them a call on 01535 632500. Delivery is available across the UK. Look out for more content on Raygill as they also run a brilliant fly fishery which we’ll be doing a feature on in the coming months.